Bariatric surgery candidates are frequently treated with antidepressants. Several of these drugs have been associated with weight gain and could potentially interfere with weight loss after bariatric surgery. This cohort study aimed to investigate the short-term effects of antidepressants on weight loss during the first 24 months after a Roux-en-Y gastric bypass. Patients with a fully documented antidepressant treatment status for at least 12 months were retrospectively included. Weight loss was expressed as the percentage excess BMI loss (%EBMIL) or percentage total weight loss (%TWL). A mixed linear effects model was used to determine the impact of continued and discontinued treatment with antidepressants on weight loss. A total of 751 patients were included in this study. At 24 months, patients had lost 77.38 ± 30.10 %EBMIL (30.63 ± 13.12 %TWL). In patients treated with antidepressants (n = 125), the %EBMIL and %TWL was reduced with − 2.81% (p = 0.025) and − 1.36% (p = 0.002) respectively, and with − 5.52 %EBMIL (p < 0.001; − 1.05 %TWL, p = 0.012) after multivariate adjustment. Serotonin-norepinephrine reuptake inhibitors (− 12.47 %EBMIL, p < 0.001) and tricyclic antidepressants (− 11.01 %EBMIL, p = 0.042) were predominantly responsible for worse outcomes. Beyond 24 months, at 36 months (− 4.83%, p < 0.001) and 48 months (− 3.54%, p = 0.006), the %EBMIL was still reduced. No significant effects of antidepressants on metabolic outcomes after surgery were observed. 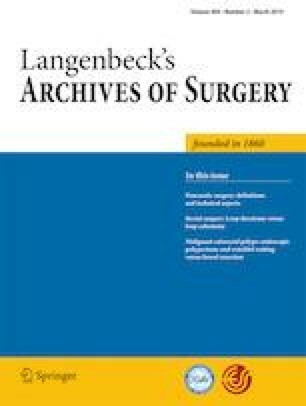 Treatment with antidepressants was associated with reduced weight loss after gastric bypass surgery, but only if treatment was continued for at least 1 year postoperatively. Mainly tricyclic antidepressants and serotonin-norepinephrine reuptake inhibitors were responsible for this reduction in weight loss. The online version of this article ( https://doi.org/10.1007/s00423-019-01784-z) contains supplementary material, which is available to authorized users. The authors thank Maud De Venter for her assistance in the preoperative psychological assessment. Plaeke P: study conception and design, acquisition of data, analysis and interpretation of data, drafting of manuscript, critical revision of manuscript. Van Den Eede F: study conception and design, interpretation of data, drafting of manuscript, critical revision of manuscript. Gys B: critical revision of manuscript. Beunis A: critical revision of manuscript. Ruppert M: critical revision of manuscript. De Man J: critical revision of manuscript. De Winter B: analysis and interpretation of data, drafting of manuscript, critical revision of manuscript. Hubens G: study conception and design, interpretation of data, drafting of manuscript, critical revision of manuscript. All procedures performed in studies involving human participants were in accordance with the ethical standards of the institutional and/or national research committee and with the 1964 Helsinki declaration and its later amendments or comparable ethical standards. Retrospective data collection was approved by the ethical committee of the Antwerp University Hospital (File number 15/48/513).